Can you guess what one of the top concerns of most Connecticut homeowners during the winter is? Energy bills. As you may know, Connecticut has one of the highest electricity rates in the country. But what you may not know is that your local utility companies, state, and the Connecticut Energy Efficiency Fund have teamed up to empower homeowners to make smarter energy choices. Their program, Energize CT, wants to enable homeowners to make more energy-efficient choices. Whether it’s installing a new water heater or other installations, they offer rebates to help cover the project costs. 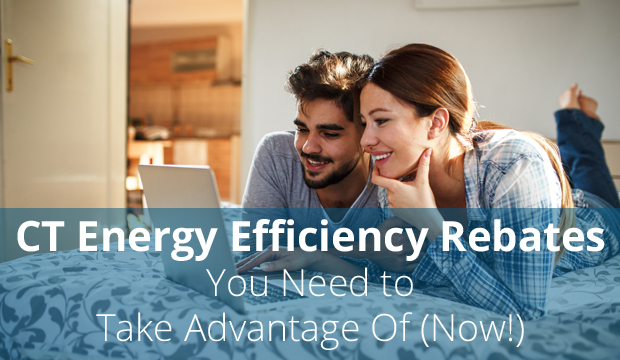 Here are some CT energy efficiency rebates you need to take advantage of. You shouldn’t only consider the price of an appliance, but also how much it will cost to power it each year. ENERGY STAR-certified appliances help save homeowners 10 to 50% on operating costs versus traditional models. Are you a homeowner in the Greater Hartford area? Simply enter your zipcode here to discover rebates near you. Homeowners are already saving on dishwashers, refrigerators, and washing machines, just to name a few. Did you know the average heating and cooling costs account for 56% on a homeowner’s annual energy bill? Save big on your utility bills by installing a more energy-efficient unit in your home. Energize CT will even help you foot the bill. They’re offering rebates from $250 to $500 towards your heating and cooling project. Some homeowners may even qualify for an additional $100 to $500 rebate if they participate in the Quality Installation and Verification Program. Move over, electric water heaters. Heat pump water heaters are twice as effective over their electric counterparts. Connecticut homeowners who install an ENERGY STAR-certified heat pump water heater will enjoy an instant discount of $600. All you have to do is be a customer of Eversource or UI and purchase it through a participating retailer. Energy-efficient lighting not only costs 80% less to operate than traditional light bulbs, but also certain bulbs can last 10 to 50% longer. Gone are the days where you find yourself climbing on a ladder to replace the light bulb in the bathroom… again. ENERGY STAR partnered with Energize CT and your local retailers to provide you with discounted lighting. All you have to do is head to your local store, look for the ENERGY STAR label, and the price is already discounted. Don’t know where to begin? Call in the professionals. An energy technician will go through your home and show you where you’re wasting energy. Think of this like a check-up with a doctor. You know you’re not feeling well, but aren’t sure what’s wrong. 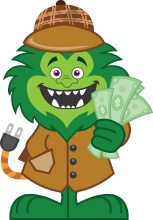 Energy Monster, an official partner of Energize CT, can help diagnose the problem areas and prescribe a remedy. 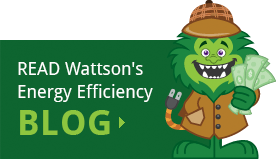 What’s included in your home energy audit? Your home might not be as air tight as you think. A blower door test will see where air is literally slipping through the cracks. Don’t throw your money out the window. An energy technician will seal the problem areas detected by the blower door test. Did you know that conditioned air may be slipping through the cracks? This makes your system less efficient. This test will help detect where air is leaking. Once we’ve detected the problem areas, we’ll help fill the gaps to prevent any air leakage. Light up your life for less with more energy efficient light bulbs. We’ll replace a few during the audit and help you take advantage of Energize CT’s other lighting rebate programs. Hot water is expensive! That’s why an Energy Monster technician will install no-cost low-flow shower heads, faucet aerators, and hot water pipe insulation. Learn more about your home’s energy usage and which areas need a little TLC. We are your partners when it comes to home energy efficiency. Once your audit is complete, we’ll work with you to see which rebates your family is eligible for. Do you want to learn more about CT energy efficiency rebates? 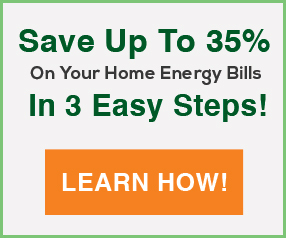 Contact Energy Monster today to learn more about how you can save on your home projects.